PORTLAND, Ore. (September 6, 2018) – The 2018 harvest of Northwest grown pears, hand-picked and hand-packed with care by Pacific Northwest growers, is now available in grocery stores. Starting in early August with the picking of Bartlett and Starkrimson pears, the harvest season will last through late September with remaining varieties including Anjou, Bosc and Comice. This year’s harvest is estimated to yield 20.2 million standard boxes (average 44 lbs per box) of pears from Washington’s Wenatchee and Yakima districts and Oregon’s Mid-Columbia and Medford districts. 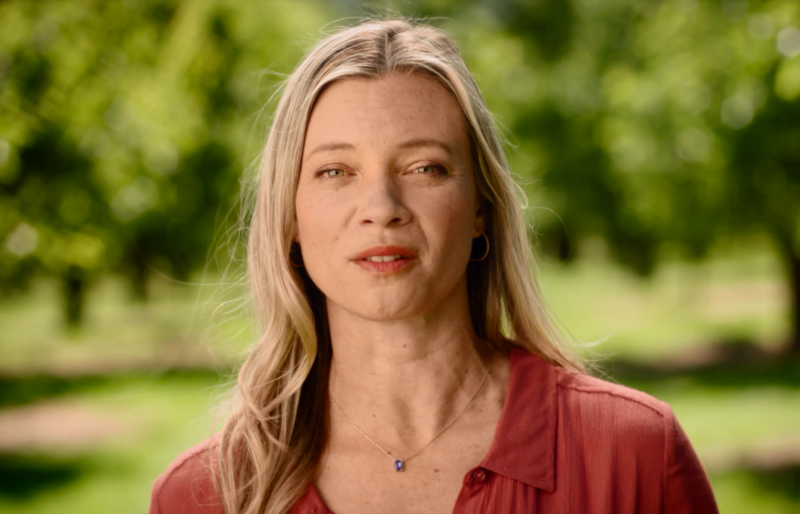 The start of harvest season also kicks off actress Amy Smart’s new role as official spokesperson for USA Pears. Known for her roles in hit films like Just Friends and The Butterfly Effect, and her upcoming role in Tyson’s Run, Smart has also established herself as a trusted voice of sustainable living and healthy eating – even tending her own garden at home. Smart will be working with USA Pears throughout the 2018-19 pear season to share her favorite pear-inspired recipes, featuring many of the ten varieties of pears, as well as important tips on how to enjoy pears to the fullest. The videos will correspond mostly to the seasonal promotional themes of Hand-picked Harvest, Holiday Inspiration, and nutrition. For the most part, these videos will be used on social media and in digital ads, as well as shared with retailers. The endorsement support was partially paid for by a Specialty Crop Block Grant from the Oregon Department of Agriculture on behalf of the Oregon pear growers. The first videos are available for download here. Be sure to follow along with USA Pears and Amy Smart throughout the year to see and learn more about pears. Pear Bureau Northwest is a non-profit marketing organization established in 1931 to promote the fresh pears grown in Washington and Oregon, home to 88% of the US commercial fresh pear crop. The Bureau represents close to 900 grower families and partners with outlets throughout the world in an effort to increase overall success with the pear category. The organization provides marketing and merchandising expertise that is customized specifically for each retail organization, using its pear consumer research findings as well as individual store analysis using an in-house data system that measures pear category performance nationwide and third-party research to show retailers how they perform versus their competition. Retailers who are interested in partnering with Pear Bureau Northwest should contact them at info@usapears.com or 1 (800) 547-4610, as well as visit the Trade.USAPears.org website.